By Gina Mark in Office. Updated on August 6, 2018 . There’s a lot of things that goes on in our daily lives that can lead to a lot of stress and leave us agitated. It could be anything from working with certain clients on a particular project to a looming deadline. There are plenty of solutions but what about when you’re busy at your computer and have limited time to spare? This is where the Internet can help you out. There are several websites that are designed to help you achieve a sense of inner peace. They do this through the use of captivating images and soothing sounds, among other things. If you feel like you could use some quick but efficient relaxation, here’s our list of 10 websites to help you calm down those nerves. Hopefully, they’ll work as well for you as they did for me. Calm can help you achieve what the name itself suggests. You can choose between “guided calm” or “timer” to get there. The length of the session varies from 2 – 20 minutes. For the guided calm option, a voice will guide you on how to relax your tense body and mind. If you rather do a quick session without narration, just click the “timer” button. The title says it all. 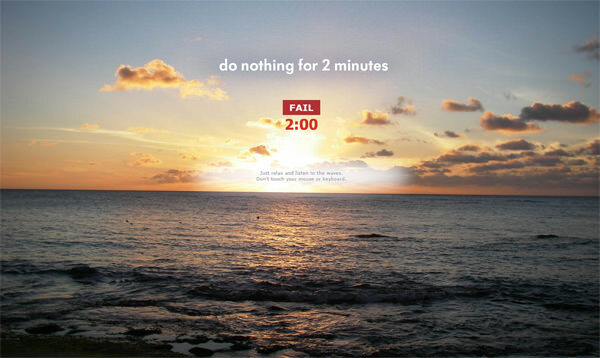 You will do nothing except listen to the waves for exactly 2 minutes. This website acts as a bit of challenge to see if you can restrain yourself from doing nothing at all. The best part of this website is that, if you do touch your keyboard or mouse, a fail message will pop up and the clock will reset again. I failed several times too before finally completing it. If doing nothing for 2 minutes doesn’t really appeal to you, how about trying GetRelaxed? All you need to do is just sit back and yes, relax, while watching some beautiful images through a slideshow (it changes every 3 seconds). Add some soundscapes to choose from and you’re set. For those who are not content with still images, you could try watching some videos instead. 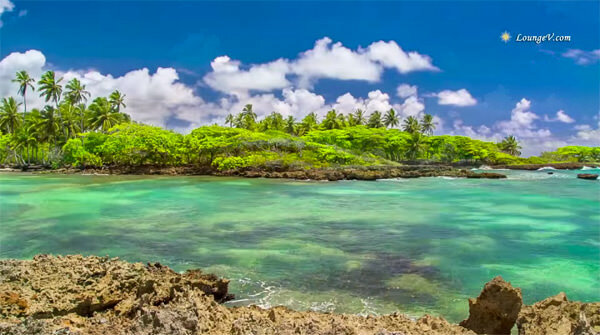 LoungeV Studio offers relaxing HD quality nature videos, which you can enjoy for free. The website plays tranquil videos of beaches, waterfalls, underwater scenery and much more under various titles. 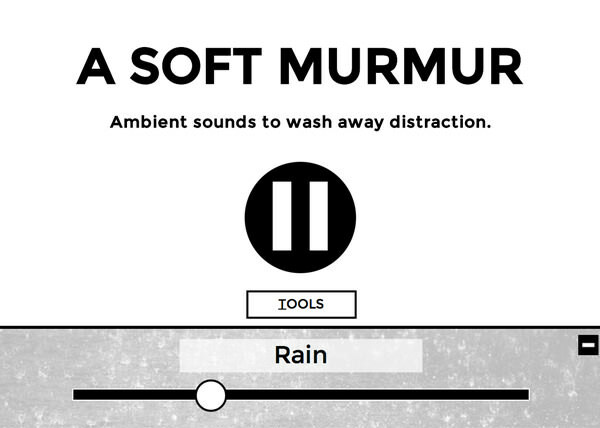 A user-friendly website that lets you create your own mix of ambient noises. Your special mix can include the sound of rain, a singing bowl or my favourite, the comforting sound of a fireplace. You can have all 10 different ambient noises playing simultaneously or just pick a few that suits your needs. Here’s another great one for the nature lovers that like to mix things up. 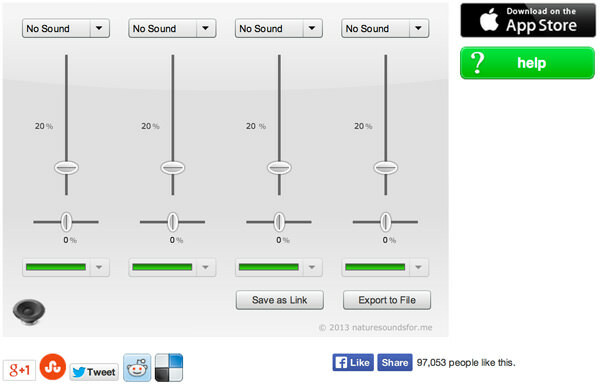 Nature Sounds For Me offers a mixer tool that lets you control the audio level and pan (which determines whether you hear the sound from the left or right channel of your stereo source). This makes it easy for you to choose between the low steady sound of crickets or loud buzzing bees, just to name a few. You can choose up to 4 different nature sounds to be played simultaneously and save your mix for your future use. This website produces background noises such as coffee shop chatter, the low sound of a blowing fan, white noise, and more. The volume of the sounds are adjustable to suit whatever mood that you’re in. 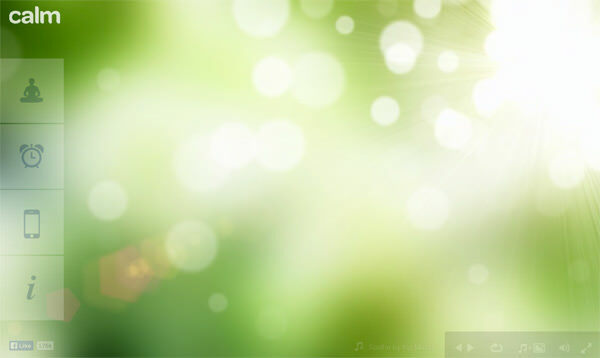 The web page also changes its color according to the mood of the sound that you have chosen. Need to vent but you don’t want the whole world to see it? Or maybe you just need a quiet place to write down your thoughts? The Thoughts Room is the perfect website for you. You can write anything into the status bar and then watch the words disappear before your eyes. 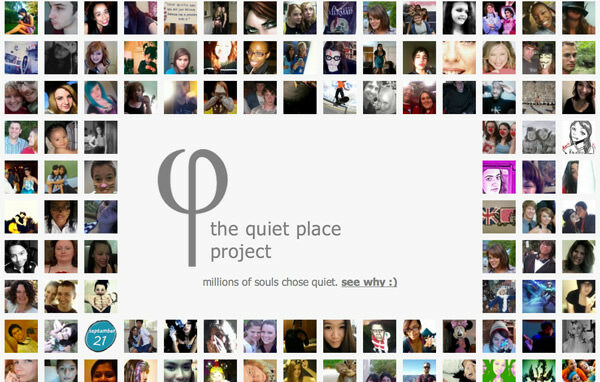 It is as simple as that and the website plays calming music while you type your thoughts. Sometimes, all we need is a little bit of rain to help soothe us. 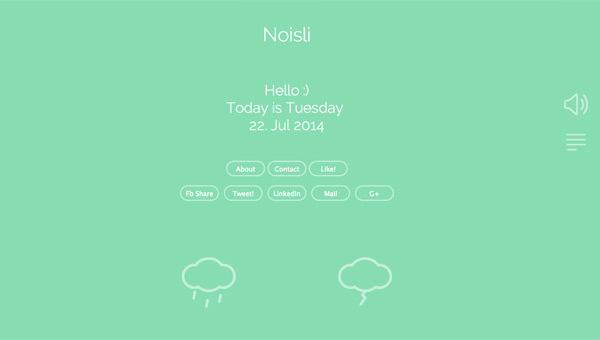 Raining.fm offers different variations on what the rain sounds like that helps you unwind. It’s so well done that you would hardly notice that the sound is actually looped. There are also extra features such as an image slideshow, a quick break reminder, and a timer to stop the sound altogether.